Based in the east of England, Bladerunner has been dj-ing/producing for twelve years, tearing up dance floors across the country and abroad. In 2004, Bladerunner’s talents were spotted by Ray Keith. He was signed to Dread Recordings and remixed jungle classics Renegade Terrorist, The Chopper and Dark Soldier. His debut album Analog Bass was released in 2009. He went on to remix other big tracks such as Black for DJ SS on Formation Records and Sound Control by Randall and Andy C.
As well as regular airplay on BBC Radio 1, 1 Xtra and appearances on Kiss100 and D&B Arena TV, this artist has featured in Knowledge magazine and ATM with cover mix CD. 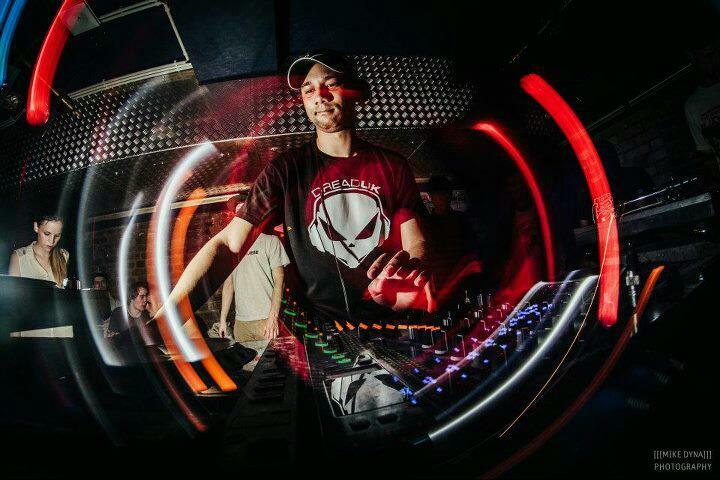 His own compositions and collaborations include crowd favourites – Spartan Law, Mercenary Dub and More Prophet. Recent hits Snake Fist and Back to the Jungle also topped the BBC Radio 1 Drum & Bass charts. With support for his music from all the A listers on the scene, including Andy C, Ray Keith, Fabio, Bailey, Bryan G, Randall and Roni Size, Bladerunner is one of the rising stars of Drum & Bass to look out for.